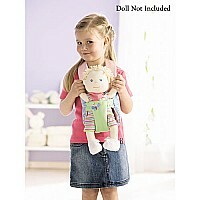 This cushioned carrying seat is for 15 inch HABA dolls and others of that size, made of washable polyester. 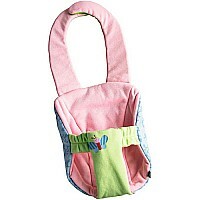 Rests comfortably around the child's neck with a simple and safe hook and loop fastener. 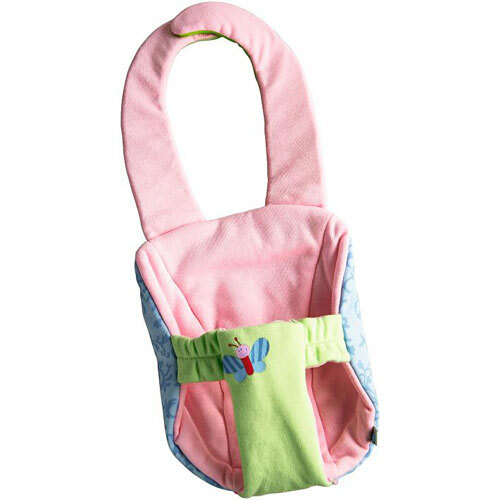 Featuring an elastic front pouch for a secure hold. Measures approximately: 13.86 x 9.29 x 3.58 inches..